...The Kingdoms of this world are become the Kingdoms of our Lord.... Amen. 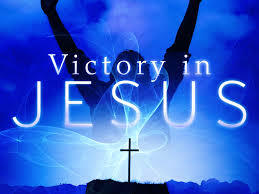 (Rev.11:15 KJV): THE UNDEFEATABLE GOD- THAT'S THE GOD I SERVE!!!! My beloved it pays to serve the Lord. Please relax as I share this wonderful testimony with you. Blesseth is he that readeth…Revelation 1:3. Thank you. It was on a Sunday morning, very early around the hour of 4:00am. That a neighbor that lives very close to the church woke up because of sounds of bell rang inside the church, and checked his clock and it was 4:00a.m. and then he began to wonder why the bell was rang so early because the service always commerce by 8:00a.m., so he peep from his window to see and noticed that none of the light in the church was on and the doors were still intact, the pastor’s car was not outside, there was none of the member cars nor bike park outside and he waited to see if they will start playing the instrument and nothing of sort happens. Then he waited for some minutes no one comes in or goes out of the church so he decided to call the pastor and ask where he is and pastor said he is home studying so he told the pastor what he has observed and the pastor told him that the church key is with him and that he didn’t give it to anyone, so the neighbor asked the pastor to come quickly o and witnessed it himself and he ends the call. The neighbor then alert his brother by waking them up because they were still sleeping and told them what is going on. So finally they all went out quietly to see what is happening and who rang the bell since the pastor said he’s home and he’s even on his way to the church. When the neighours quietly walked close to the church they peeped through the window and saw a tall dark man gathering things and putting some into a very big bag, by the time the pastor arrived, the tall dark man had finished arranging. The pastor park his car some distant away from the church and trek so that whosoever is in the church won’t try to escape. As the tall dark man was about to leave, the pastor unlock the door and open it, the tall dark man was shocked and what he carried dropped from his hands and quickly he tried to escape from the roof top, the neighbors caught him by dragging him down because he almost escaped, A thief in the house of God? The world has come to an end said one of the neighbours. The pastor asked him, who are you and what are you doing here? Who sent you? Man of abeg dis man na thief and e no gree answer you any question o. Said one of the neighbor. The thief started begging and said he is sorry and that is the work of the devil and that he didn’t even know that this is a church. They asked him who rang the bell and how he intended going with all the things he gathered and the thief said he didn’t even know he rang the bell and as for how he intend going with all what he has stolen, he said he came with a truck and that he park it somewhere, before he could said anymore more word, he was bitten thoroughly and asked to carried on his head what he stolen and they snap him with phone for evidence and after that he was arrested and detain in prison. The devil wanted to ridiculed God’s church but God arise and fought because the church has been purchase with the blood of Jesus. Act 20: 28. Beloved ye are bought with a price (1cor. 6:20) therefore the devil has no right to temper with God’s property. I declare every tricks of the devil to steal from you will expose in Jesus Name. Amen. That thief rang the bell without knowing what controlled him, because had it been he knew hahahah that ringing of the bell will definitely expose him, he wouldn’t have but so that the word of God in Nahum 1:9 that says, what do you imagine against the LORD? He will make an utter end…will come to manifestation. Today I declare every evil imagination against your life, your wife, your husband, children, careers, academics, business and ministry as the Lord turn the counsel of Arhithophel to naught in the book of 2samuel 15:31 their plan are nullify with the blood of Jesus. It is written in Revelation 12:11 And they overcame him by the blood of the lamb…, beloved the thief cometh but for to steal, and kill, and to destroy: but I come that they might have life, and that they might have it more abundantly. John 10:10. Whatever the devil has stolen from you, is time for them to vomit it out in Jesus ‘Name, Amen. It is time to let go. 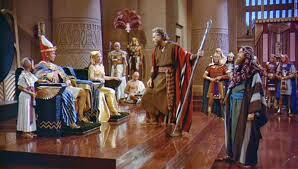 God said to Moses I have thee a god to pharaoh…Exodus 7:1. Beloved reader a god, it is time for you to take your stand and stand up boldly with the word of God. 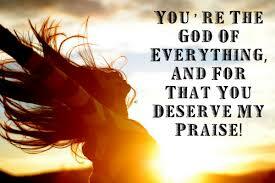 Psalm 82:6 says, I have said, Ye are gods; and all of you are the children of the most High. And Jesus said in John 10:34-35 …is it not written in your law, I said Ye are gods? 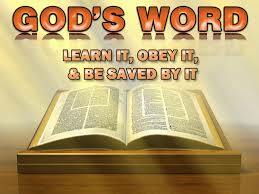 If he call them gods, unto whom the word of God came, and the scripture cannot be broken. As a god, you have to make some declarations and possess your possession. John 8:32 says, ye shall know the truth and the truth shall make your free. You are a King’s child and as one you have to stop bowing for Satan, you have to stop borrowing and stop begging. Whosoever is stealing your blessings, God will expose. And whosoever that is around you that steals and therefore hindered the blessing of God from you must be expose. Do you remember the story of Achan in the Bible, he transgressed against the covenant of the Lord and steals, and for that act, the children of Israel of could not stand before their enemies, but turn their back from their enemies, because they were accursed: neither will I be with you anymore, except ye destroy the accursed from among you. Joshua 7:12. 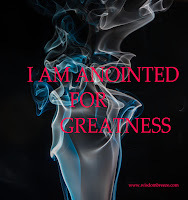 In the name of Jesus I release the fire of God to burn every accursed thing in your life in Jesus’ Name, Amen. It is time for them to give Glory unto God. For surely there is no enchantment against Jacob, neither is there any divination against Israel…Numbers 23:23. They thought stealing from you will bring you down but hear this: Luke 21:13 says And it shall turn to you for a testimony. Amen. Oh! Yes, the set time is now. Psalm 102:13 says Thou shalt arise and have mercy upon Zion: for the time to favour her, yea, the set time is come. Beloved you are favour! From now till December every plan of the devil to steal from you, destroy you and to kill you will be exposed in Jesus’ Name, Amen. Beloved why not take some seconds and laugh at the devil… hahahahahhahahhahahaahhah. Oh yes! It is time to be strong in the Lord, and in the power of his might. Put on the whole armour of God, that ye may be able to stand against the wiles of the devil. Or we wrestle not against flesh and blood, but against principalities, against powers, against the rulers of the darkness of this world, against spiritual wickedness in high places. Ephesians 6:10-12 . Beloved ruled thou in the midst of thine enemies. Psalm 110:2. Amen. Very interesting.. Amen to your prayers.. God will continue to embarrassed and disgrace every theif whether spiritual or physical theif..
Amen to your prayers. God bless. thanks a lot for visiting, you are favour in Jesus' Name. Amen. God bless you too. thank you for visiting.